Hey, friends! Today we are in Proverbs 9 with the Good Morning Girls. Here we see how wisdom builds her house. Let's take a look! As soon as I read this first verse of Proverbs 9 this morning, I knew I had to do some research into what the seven pillars are. Here’s what I found. Seven symbolizes perfection or completeness. These seven perfect pillars have been hewn (cut out) of rock so Wisdom’s house is permanent and lasting. After doing some research on the seven pillars, I learned that we must look back at Proverbs 8:12-14 where we find the seven attributes of Wisdom. These seven attributes are the seven pillars that support the house of Wisdom. It's so important that we build our spiritual houses (lives) with these seven pillars of Wisdom. We can only do that by spending time daily in the Bible. It's time spent in God's Word that will help us gain these attributes of Wisdom for our own lives. I'm so thankful for Courtney and her ministry at Good Morning Girls because it was through Courtney's guidance and the SOAK method of Bible study that I have learned how to dig into God's Word in such a way that spiritual growth happens in my life. It can happen for you too! 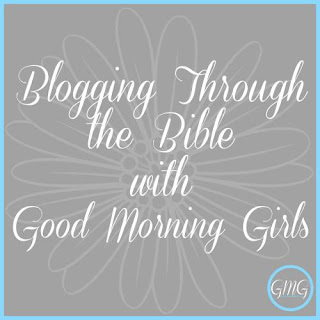 Please continue to join me and the Good Morning Girls in our Proverbs Bible Study. 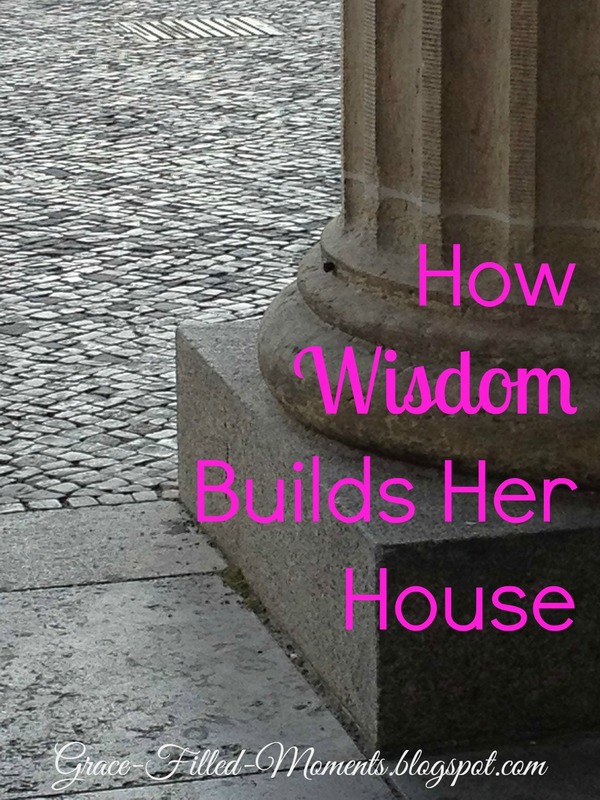 How Wisdom builds her house is exactly how we should be building our spiritual house, so let's continue to build in each of these seven areas! Hi, Heather! Thanks for stopping by! I saw your drawing on Instagram and it was wonderful! I'm so glad you tagged me so that I could see it. I thought about drawing this verse as well, but haven't had the time to yet. I even have a sketch pad that I bought at B&N to keep my drawings in. Just have to make the time to sit down and draw...lol! I know it's almost 2 years later...is there a way for me to find that drawing? I have Instagram but only to see what my DIL post of my grandchildren. How do I find Heather's drawing?